File photo of a Petronas offshore platform. Petronas’ subsidiary, Petronas Carigali Sdn Bhd (PCSB), has awarded its contract for the provision of maintenance, construction and modification services (MCM) at its offshore facilities in Peninsular Malaysia, Sabah and Sarawak to five local contractors. 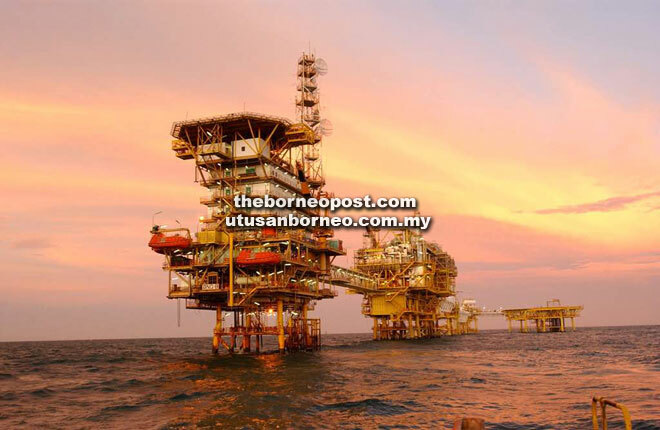 KUALA LUMPUR: Petronas’ subsidiary, Petronas Carigali Sdn Bhd (PCSB), has awarded its contract for the provision of maintenance, construction and modification services (MCM) at its offshore facilities in Peninsular Malaysia, Sabah and Sarawak to five local contractors. Sapura Fabrication Sdn Bhd, and its joint-venture partner, Borneo Seaoffshore Engineering Sdn Bhd. These five local contractors were selected for the five-year contract which took effect in September last year, with an option to extend an additional year, said PCSB. Under the terms of the contract, the engineering and maintenance services will include Topside Major Maintenance (TMM) and Facilities Improvement Projects (FIP). Vice-President of Malaysia Assets of Petronas and Chief Executive Officer of PCSB Mohd Jukris Abdul Wahab said new requirements were introduced to encourage collaboration across the industry supply chain. “These contracts encompass requirements such as the utilisation of marine vessels from Malaysian-owned companies only and the mandatory participation of 20 per cent local state service providers to spur value-added services that ensures growth in Malaysia’s oil and gas upstream services industry,” said Jukris.